It’s important for me to see how they behave around him, if they’re comfortable or not. Another indicator of this is whether they include him in conversations. I’ve had people pretend as if he wasn’t there – their logic I suppose was that he can’t understand us (or so they thought) so no point in talking TO him. People who talk to him…I appreciate them. 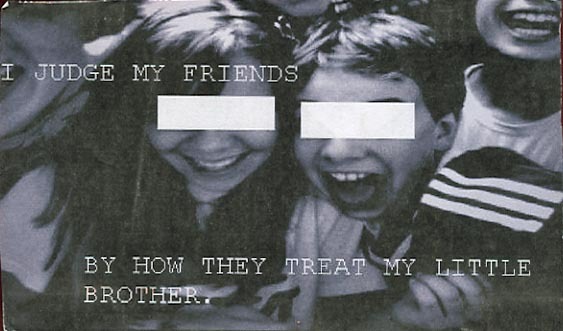 So yes…I judge YOU based on how you treat my little brother. Sue me.